About the Project: I recently created a custom WordPress theme for Maman Poulet, one of Ireland’s most popular and highly-regarded political blogs. 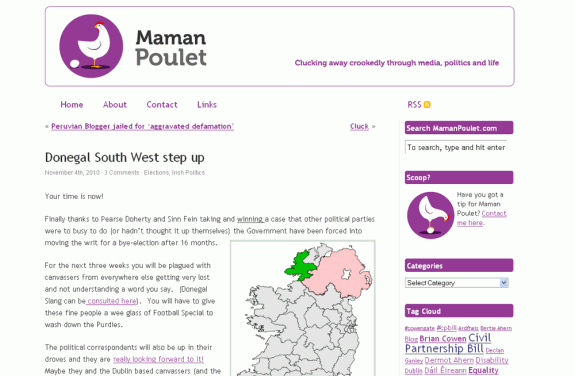 The site had previously been using a standard WordPress template, and Suzy of Maman Poulet wanted a new, cleaner and personalised look. The chicken illustration is by minimil at iStockphoto.